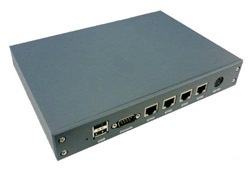 The FWA7304G is integrated with four Gigabit Ethernet ports with one pair supporting bypass function enhancing reliability required in some security applications. Both support I/O interface and expansion Features: including two USB ports in the rear panel, a CF socket, a 2.5?SATA HDD drive bay and a Mini PCI socket. For local system maintenance and diagnostics, a serial port is supported. The FWA7304G comes with the VIA PadLock Security Engine, which Features: a comprehensive suite of tools for key cryptographic operations. SATA25 180 degree to Flat Short Sata Cable.